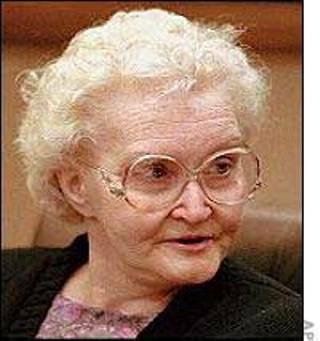 Female serial killers are rare...should Dorothea Puente's house be on pubic tour? 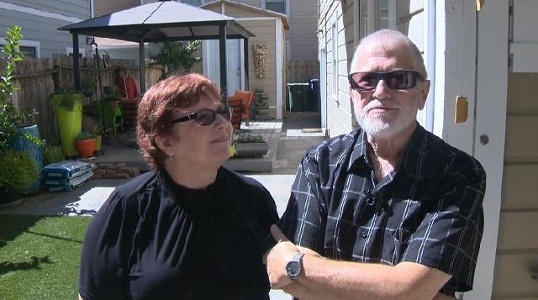 Barbara Holmes and Ted Williams bought the property at a public auction in 2011 for $215,000. Williams and Holmes are showing the dining room on September 15, 2014 (above). Here they set up a mannequin in the back yard, portraying killer Dorothea Puente holding a shovel. Puente buried her victims in her yard. 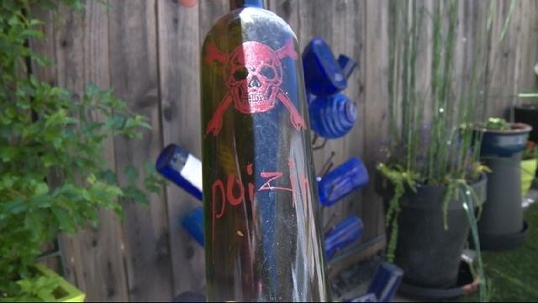 A "poizin" bottle is on display. Puente used poison to kill her victims. 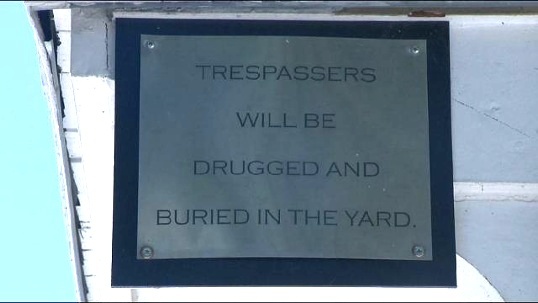 A "humorous" sign? This is on the side of the house. Above is the shower curtain inside the house. 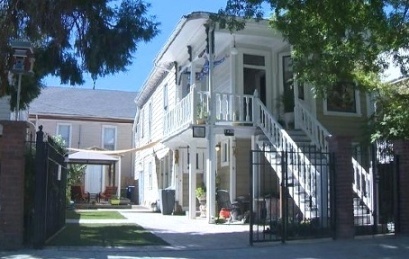 See more about the Dorothea Puente house HERE...is it haunted? Because I (Jeani Rector) live in the town where Ms. Puente committed these murders, I have mixed emotions about her house being placed on public tours. Is it appalling or acceptable? I don't know. Perhaps people should be allowed to do whatever they want with their property. Taste is subjective. On November 11, 1988, police inquired after the disappearance of tenant Alvaro Montoya, a developmentally disabled schizophrenic whose social worker had reported him missing. After noticing disturbed soil on the property, they uncovered the body of tenant Leona Carpenter, 78. 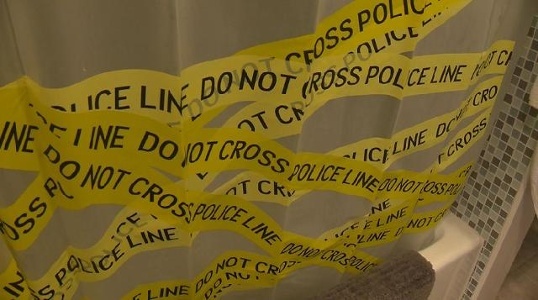 Seven bodies were eventually found, and Puente was charged with a total of nine murders, convicted of three and sentenced to two life sentences. The FBI states that males make up at least 90% of the world-wide total of serial killers. Out of only 10% in the world who are female serial killers, one was found in my own home town of Sacramento, California. Dorothea Puente was apprehended on November 11, 1988 and served life in Central California's Women's Facility (CCWF) in Madera County, California. Dorothea Puente during her trial (above). 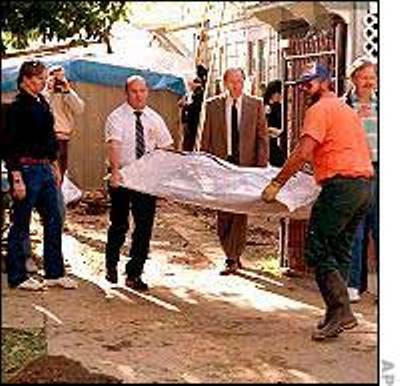 Remains of one of her victims being removed from her yard.